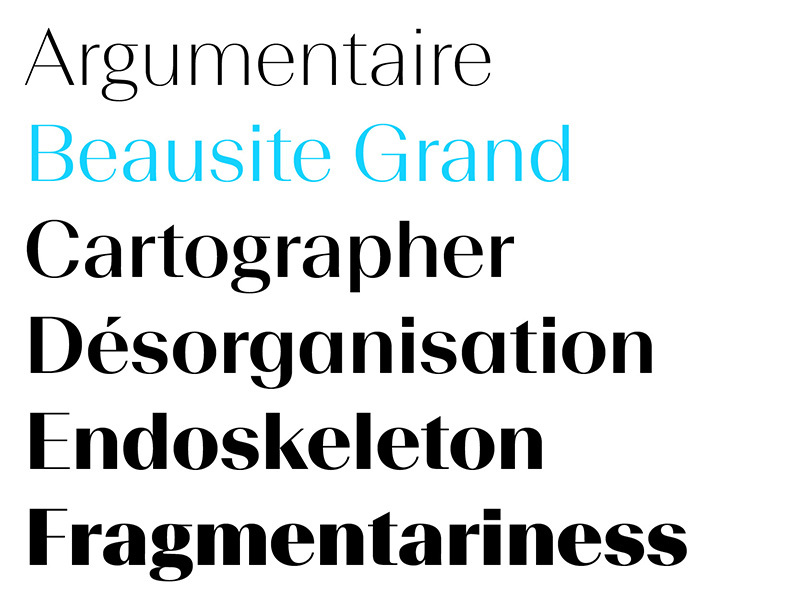 Beausite started in 2008 with the idea to create an elegant high contrast display typeface. 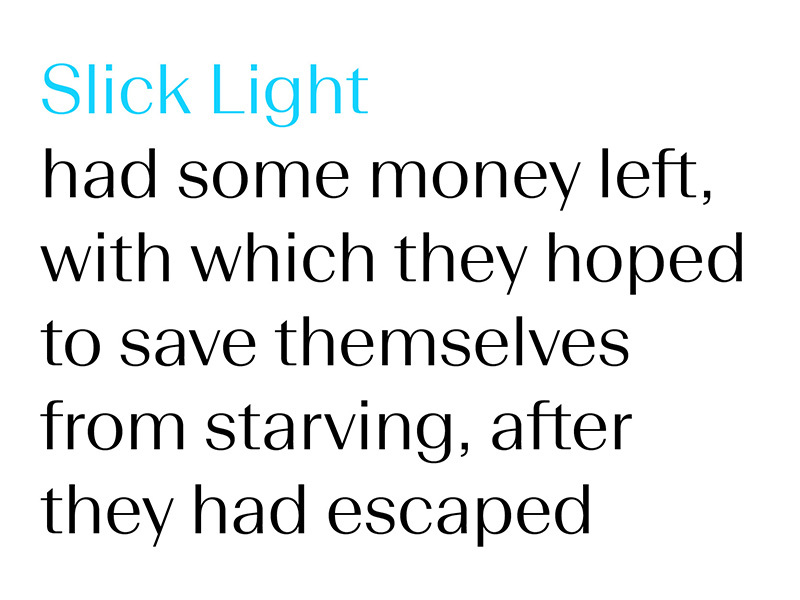 The first version was a condensed light cut. Over the years, the concept and design slowly evolved. 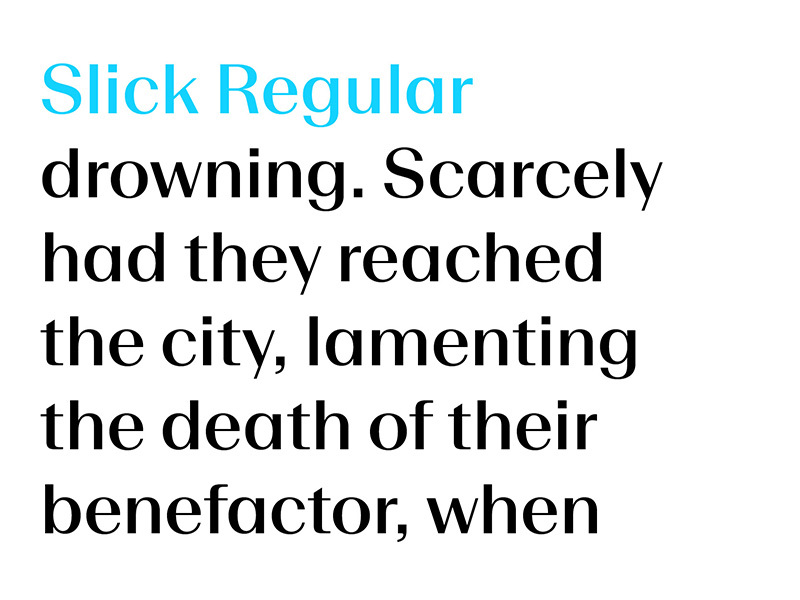 To a certain extent, the design echoes Peignot – a successful typeface designed by the famous french graphic artist Cassandre and released by Deberny & Peignot in 1937 – or Hermann Zapf’s Optima. 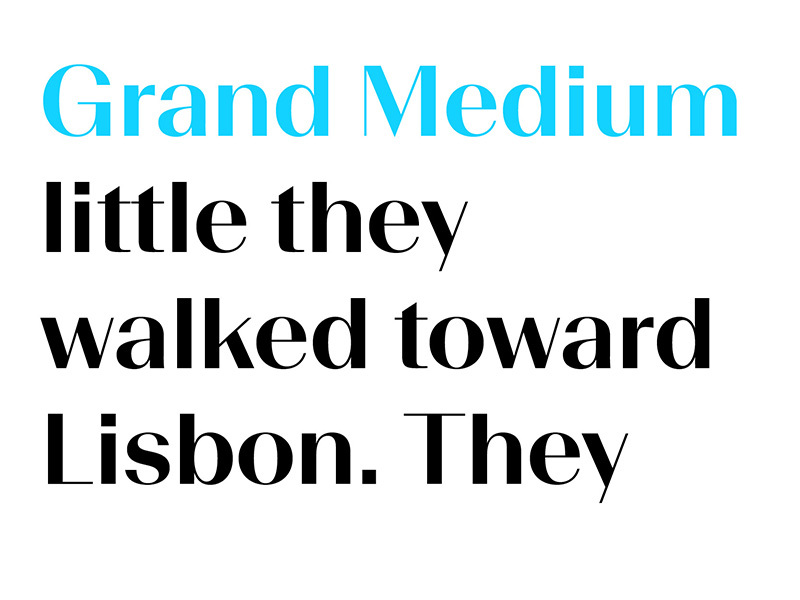 For a while, the project was also inspired by the idea of a “Didot Sans”, a concept that has been explored repeatedly, producing most often than not questionable results. 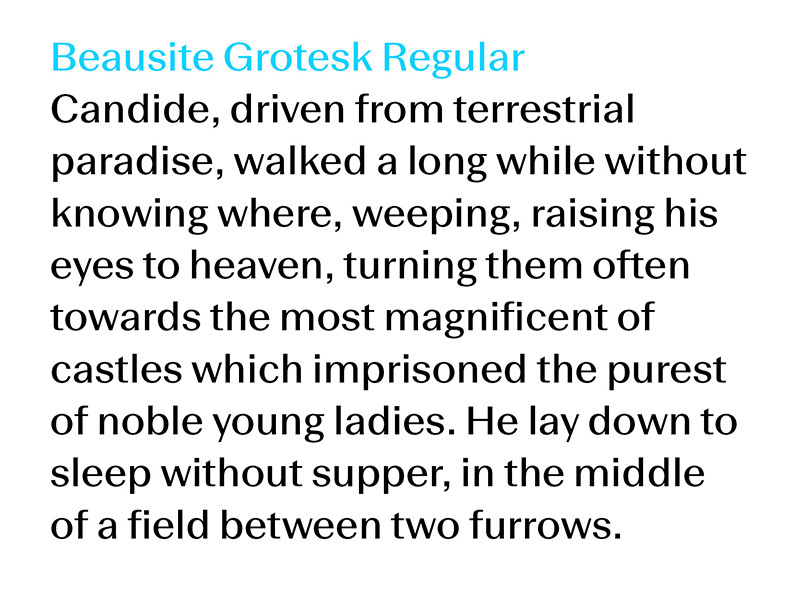 But in the end, the motivation for Beausite became less about designing a stylish decorative design and more about applying contrast onto a neo-grotesk skeleton. 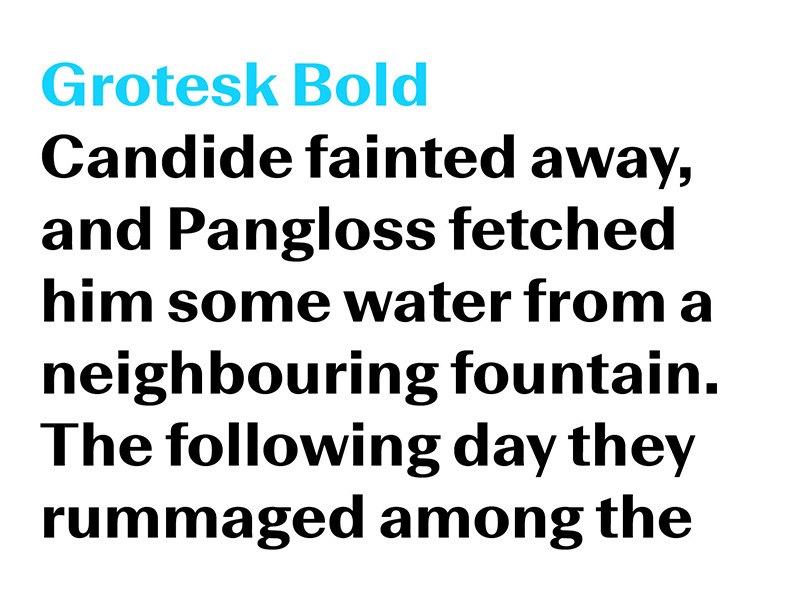 Sans serifs such as Univers established the principle of programmed, consistent typeface families with a wide range of weights and widths. But contrast has been left out of the range of this program almost consistently, relegated to humanist or calligraphic designs. 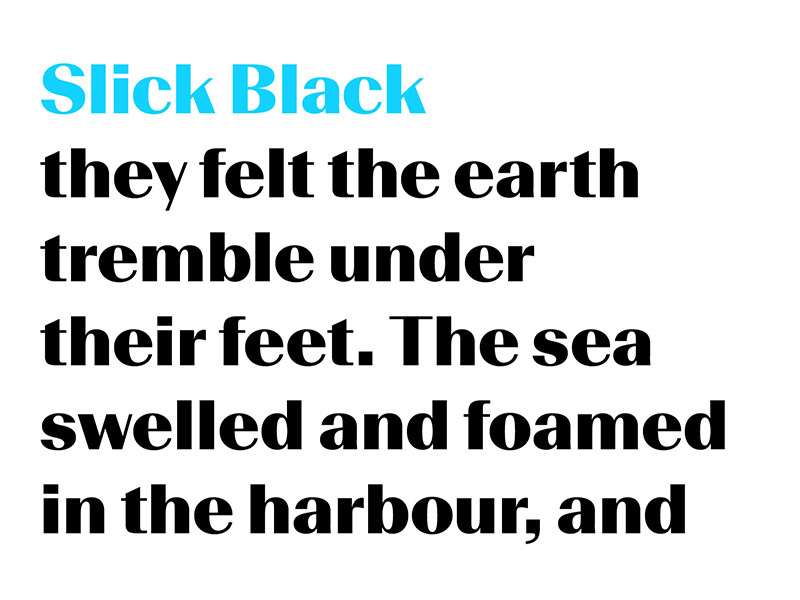 In recent years, this has been accentuated by a trend of sans-serifs where contrast is reduced to a strict minimum. 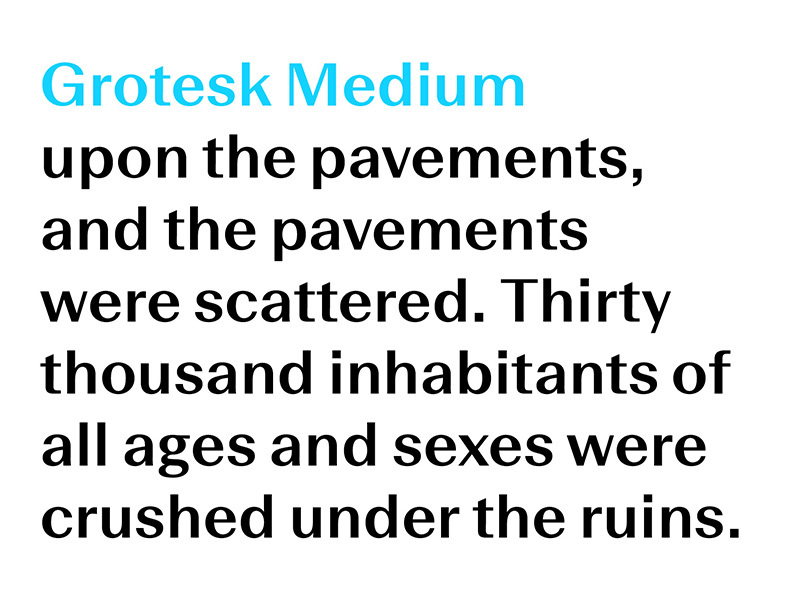 Beausite is an alternative in the category of Grotesks, that relives the 20s to 40s trend for high contrast sans in a contemporary fashion. 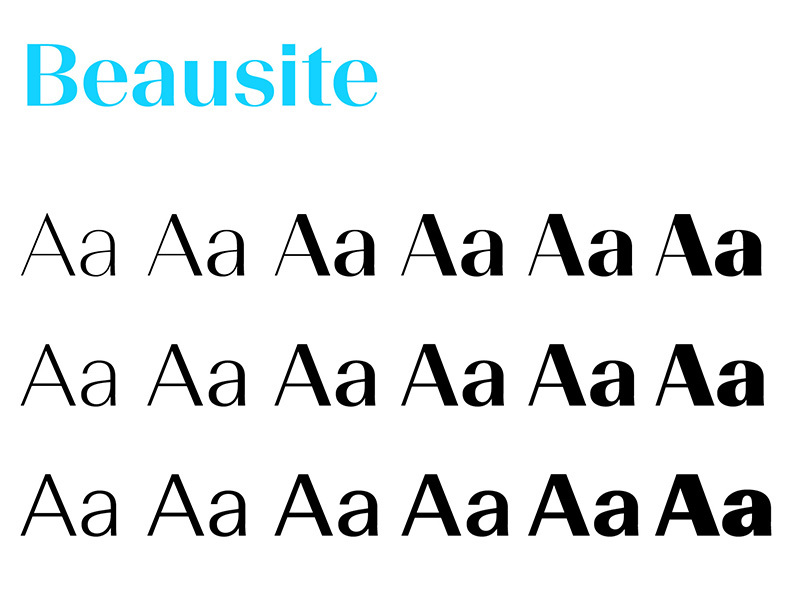 Beausite comes in three levels of contrast and six weights. 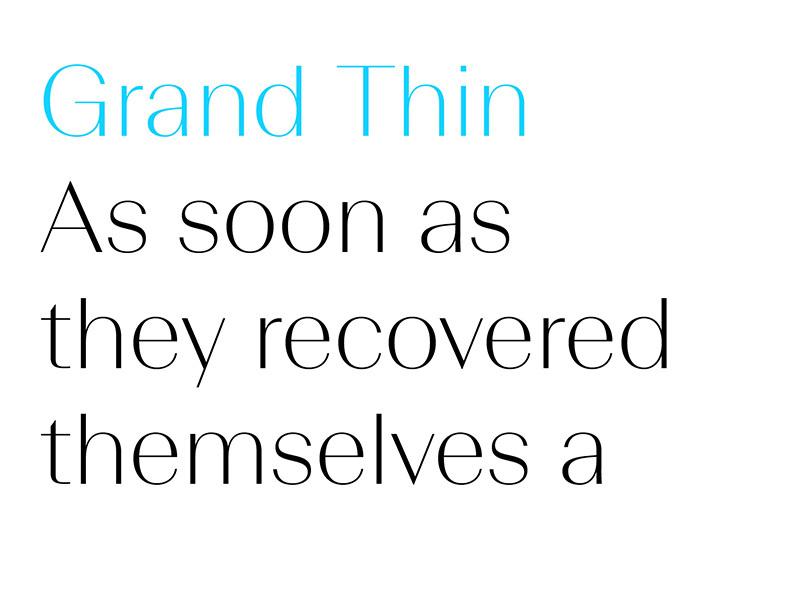 Beausite Grand is clearly intended for headlines and big sizes, Beausite Slick works well for smaller headlines and leads, while Beausite Grotesk functions equally in text and display. 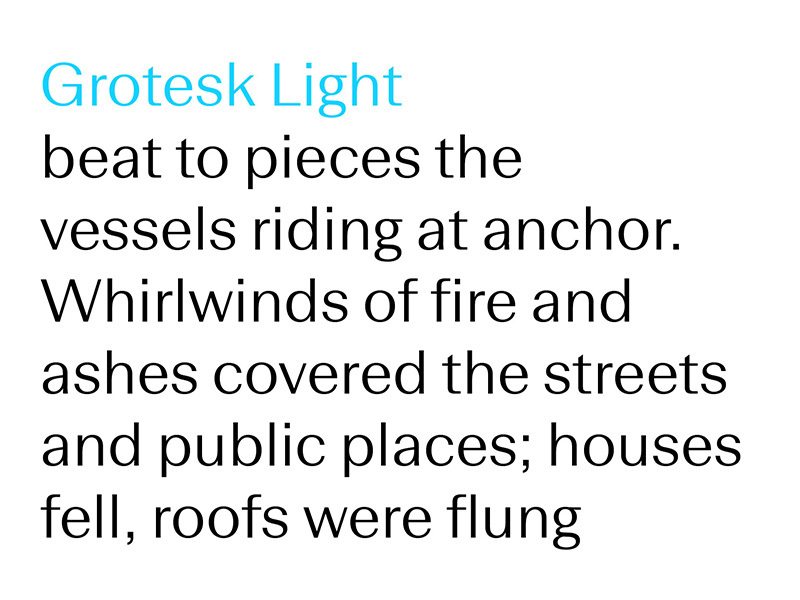 The typeface comes with a full character set for west and east european languages, and a number of OpenType features such as stylistic alternates, ligatures, smaller figures for text, tabular figures and fractions. 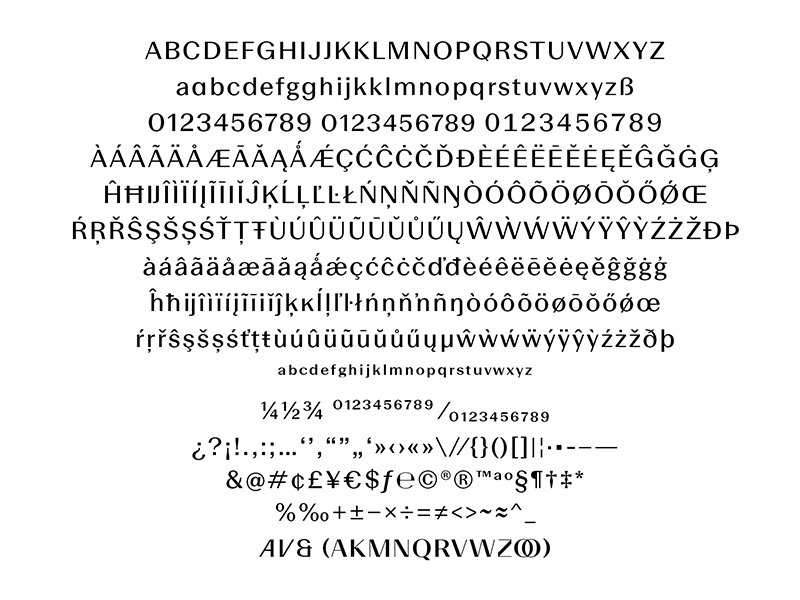 For a full overview, have a look at our PDF specimen.